A love of nature and everything outdoors combined with a life long passion to fly fish is the nucleus behind Troutdogs. As a free-lance writer, I focus on outdoor adventure, fly-fishing travel, environmental stewardship, eco-conservation, digital business and timely stories of the day. Additionally, as an award winning broadcast journalist, I offer a wide range of voice talent services that include broadcast/online commercials, new product announcements, narrations, audio books, and more. I invite you to contact me for your next project. Writing for Outdoor, Lifestyle and Travel mediums is a serious pursuit that combines my love of story telling with my passion for adventure. Being entrepreneurial in my approach, I also write for Business, Broadcast, and Online formats. "Makes me want to visit!" "Great piece, Michael. Thanks so much for spotlighting the restoration underway." "Nicely done and glad I could be of service." "Looks great. Nice article. Redford would like it." American Fly Fishing - "On the cover"
Using a professional voice helps to revitalize and build brand awareness, engage your audience and invite them to action. 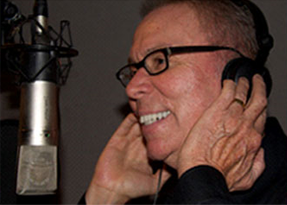 With over 30 years of broadcast and Internet experience in studio recording, news reporting, narrating radio and television commercials, announcing new products, voicing documentaries and speaking on behalf of businesses, I offer a rich voice that is trustworthy, believable, and upbeat. Please contact me direct either by e-mail or mobile to discuss how I can best help you. Michael is as passionate about free-lance writing and voice acting as he is about fly-fishing. He's been doing both for more than 30 years. Writing for outdoor, fly fishing travel and a variety of print and online magazines combines his love of story telling with his passion for adventure. As a voice actor, he writes and records broadcast commercials, industrial narrations, new product announcements, narrations, audio books and more. Prior to his career in freelance writing and voice acting, Michael spent two decades in television and radio as reporter, anchor, editor, producer and news director. 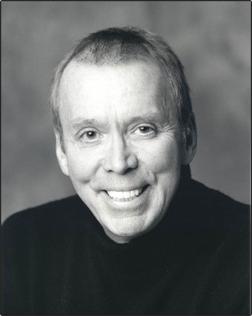 His career in broadcast took him from Vietnam to New York and back to Seattle. His awards include Associated Press and United Press International Reporter of the Year and a three-time winner of the prestigious Edward R Murrow Award for Excellence in Broadcasting. Michael lives with his wife, Public Artist Pam Beyette, and his two cats, Cooper and Mini-Cooper, in Seattle, Washington.